Oklahoma Connection | Brown came with her family to Guthrie, Oklahoma. Della Brown was well known as a highly trained pianist and singer when, upon the deaths of her husband, John A. Brown, and her brother, John Dunkin, she assumed the presidency of both the John A. Brown Company and the Brown-Dunkin Company in 1940. Della Dunkin Brown was born in Las Vegas, New Mexico, and raised in Missouri, where she attended Woodland College and studied music. She studied voice at Busch Conservatory of Music in Kansas City and the Conservatory of Music in Chicago and studied piano, pipe organ, and voice in Italy. She moved with her family to Guthrie, Oklahoma and became well known in music circles and met local dry goods merchant John A. Brown while she was playing at a meeting of the town’s Chamber of Commerce. 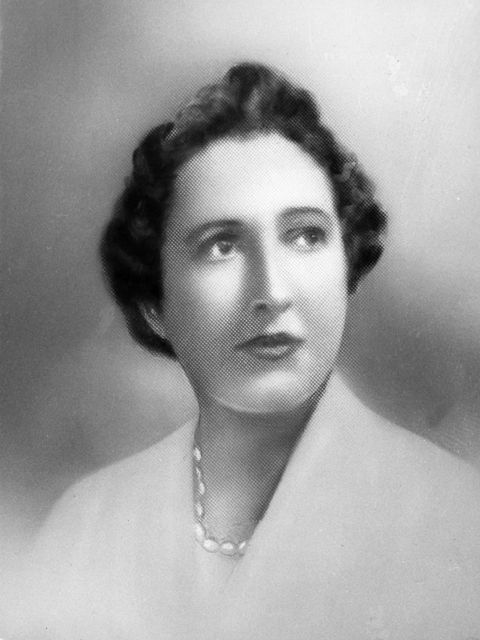 The couple found great success in the department store business and, when John died in 1940, she became the president of the company. She was elected to the board of directors of the Merchandising Division of the National Retail Dry Goods Association in 1952 and served on a number of business and civic organizations in Oklahoma City.